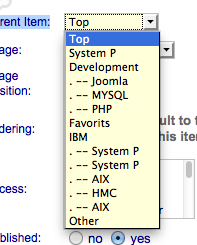 I have brought Booklibrary pro recently...but i found the following problem on my category management. Just say if i make a new category named "Text book", once I set this "Text book" as unpublished. The "Text book" category will be disappeared in my category list. I can not reset it back as pulished, even delete it...I googled but not find any solution on it. Would anyone help me on my case?? I tried to re-make the same name of category "Text book" and I find that there has duplicate name in the Parent Item:.....How can i delete the duplicate category in parent item or "Real" delete category in the list?? Is it a known bug?? ?